Call me sentimental. 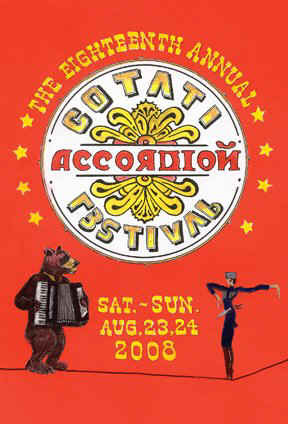 The year I started to play the accordion was the same year the Cotati Accordion Festival began. That would be 1991. That same year GDub and I fell in love. 17 years later I’m still squeezin’, GDub and I are still squeezin’ and the Cotati Accordion Fest is still rockin’.